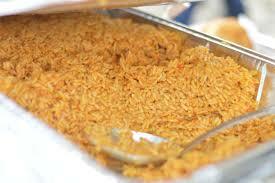 Jollof Rice is hands down THE most popular West African rice dish for a number of reasons. 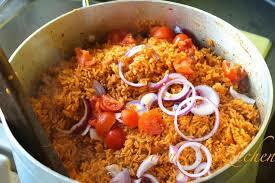 It is a delicious tomato, bell pepper, onion and scotch bonnet based rice dish. It can be served with a number of equally delicous sides including chicken, fish, fried plantain. 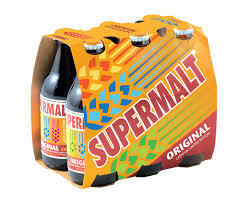 I think Jollof rice is always best washed down with a chilled bottle of supermalt. 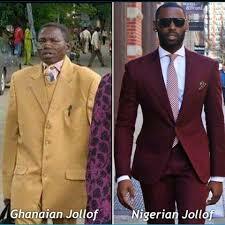 West Africans will know well that the origins of jollof Rice is hotly debated, especially between Nigerians and Ghanaians. Jollof however is not an indigenous Nigerian name (at least not a Yoruba name) which would cause me to conclude it was not originally a Nigerian dish. 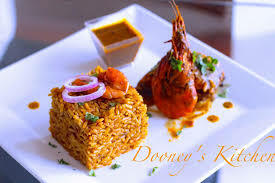 A little bit of research on the name Jollof reveals it is related to The Wolof people who are an ethnic group in Senegal, The Gambia, and Mauritania. The term Wolof also refers to the Wolof language and to their states, cultures, and traditions. Older French publications frequently employ the spelling “Ouolof“; up to the 19th century, the spellings “Volof” and “Olof” are also encountered. In English, Wollof and Woloff are found, particularly in reference to the Gambian Wolof. (The spelling “Wollof” is closer to the native pronunciation of the name.) 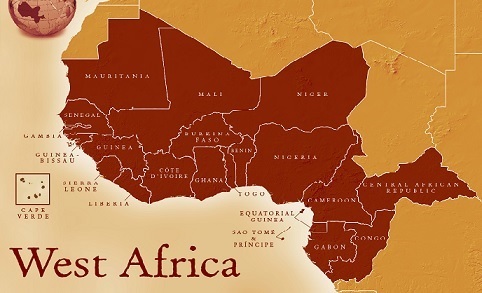 The spelling Jolof is often used, but in particular reference to the Wolof empire and kingdom in central Senegal that existed from the 14th to the 19th centuries. So Jollof rice does not indigenously belong to either Nigerians or Ghanaians but actually the Wolof people of Gambia or Senegal. 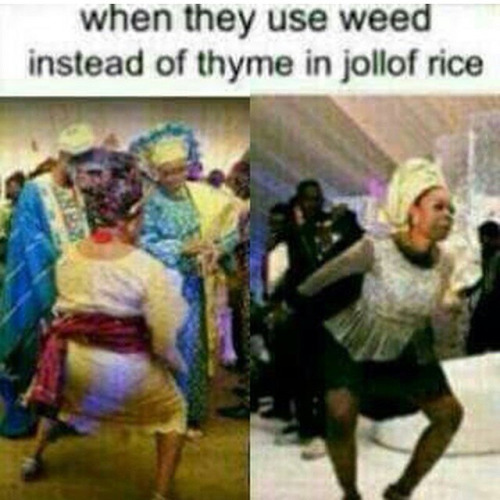 We can conclude and agree that although Nigerians are not the originators of Jollof Rice, they are instrumental in the perfecting of the dish 😃.